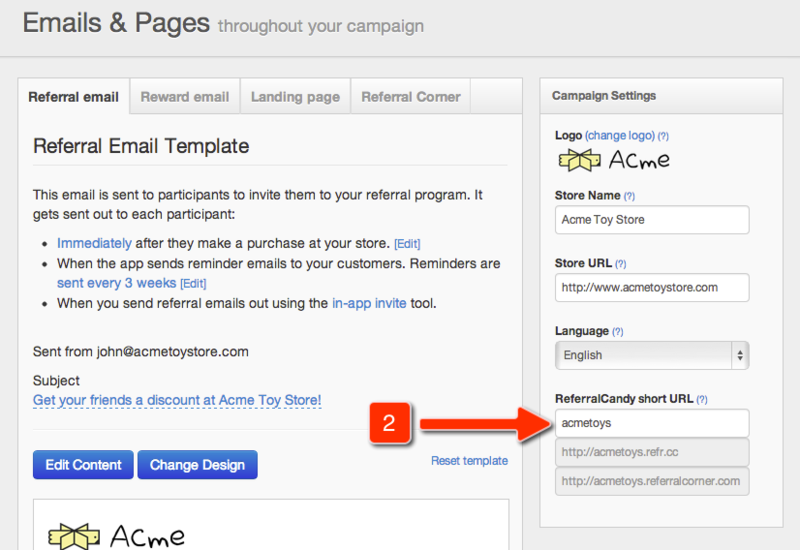 The first part of the referral coupon link (http://acmetoys.refr.cc/) is derived from your account's Short URL. The subdomain portion (e.g. 'acmetoys') can be changed. Click the blue check button when you are done to save your changes.